The McWhirter Foundation and its supporters host the McWhirter Conference, Cambridge (Formerly the Rosalind Franklin Conference) at Newnham College Cambridge. Delegates from schools and colleges attend by invitation of the Foundation, at no cost to those attending. The conference encourages students to think about their own role in society and to think about how they might get involved with shaping Britain's future, whilst providing an insight into university life. Since 1975, more than 2,500 sixth formers have attended the McWhirter Conference. Following the success of the McWhirter Conference at Oxford University over the last 40 years, the Foundation will be holding our second conference at Cambridge University in 2017. Whilst the same overall theme of exploring the importance of the Rule of Law, and latterly, the rights and responsibilities of the individual and the state, these conferences will have a more scientific and technical focus. David Baulcombe studied Botany at Leeds (BSc) and Edinburgh (PhD) Universities. After periods in Montreal, Georgia and at the Cambridge Plant Breeding Institute he spent 20 years at the Sainsbury Laboratory, Norwich. He then joined Cambridge University in 2007 as Royal Society Research Professor and now as Regius Professor of Botany. David is a Fellow of the Royal Society and a foreign associate member of the US National Academy of Sciences. His awards include the 2006 Royal Medal of the Royal Society, the 2008 Lasker Award for basic biomedical sciences, the Wolf Prize for Agriculture and the Balzan Prize. He was knighted in June 2009. David’s work focuses on gene silencing and epigenetics – the science of how nurture can influence nature. His discoveries changed thinking about the role of RNA in the regulation of gene expression of animals, plants and fungi. 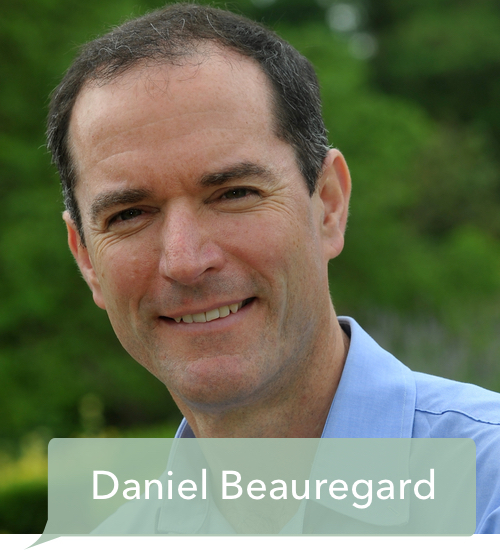 Recently his interests have focused on disease resistance in plants and understanding hybrid crops, and sustainable agriculture. In 2009 he chaired a Royal Society policy study on the contribution of biological science to food crop productivity1. He also chaired a group that produced a science update report for the Prime Minister about GM crops2. Luann E. Van Campen is Senior Advisor and Head of the Lilly Bioethics Program at Eli Lilly, where since 2008, she has been the company’s bioethics technical expert. She also serves on several academic and professional bioethics advisory boards. Prior to this Luann was a Scientific Communications Consultant and was responsible for developing global policies, procedures, processes, and tools for scientific publishing. She also coordinated scientific communications for two Lilly Neuroscience drugs and has been awarded Lilly Research Laboratories President’s Award, the Six Sigma Black Belt Team Excellence Award, amongst others. Before joining Lilly in 2000 she worked in the fields of hearing science and clinical audiology for 13 years at various American institutions and universities. Luann was the lead investigator for a multi-site, longitudinal study examining the auditory and vestibular sequelae following the Oklahoma City Bombing and served on a national Blast Injuries Studies Steering Committee. She has co-authored a variety of scientific articles and presentations in the following areas: evoked potentials, auditory and vestibular diagnostics, blast trauma, noise exposure, mood disorders, and bioethics. Dr. Van Campen has been recognized by inclusion into Who’s Who Among Students in American Universities and Colleges. Nichola is Professor of Appearance Psychology and Co-Director of the Centre for Appearance Research, University of the West of England, Bristol, UK. Following the completion of her PhD “Psychological Problems Associated with Facial Disfigurement” in 1983, Nichola has built an international reputation for her research in this field, attracted over £8m funding to support research on appearance and has published widely in the field. She was British Psychological Society Consultant to the UK Government’s Department of Health 2004-2010, is an Honorary Life Member of the South African Burns Society, and an Honorary Life Member of the British Association of Aesthetic Plastic Surgeons (BAAPS). Her current projects include establishing the psychosocial needs of people who are distressed by their appearance and developing interventions to meet these needs; identifying the psychological factors contributing to resilience and distress in people affected by appearance concerns; interventions to promote positive societal attitudes towards diversity in appearance; screening and follow-up of patients seeking cosmetic surgery. She is Chair of the COST Action IS1210 “Appearance Matters”, an EU funded network of researchers and practitioners from 35 European countries and a member of the Nuffield Bioethics Working Party on Cosmetic Procedures. Nichola was appointed OBE in 2016 for services to people with an altered appearance. Dr. Lucy van de Wiel is a research associate at the Reproductive Sociology Research Group (ReproSoc) at the University of Cambridge. Her research focuses on the interdisciplinary study of assisted reproductive technologies and their relation to contemporary conceptualisations and practices of ageing. She specifically focuses on technologies of egg freezing and embryo selection with time-lapse embryo imaging. At ReproSoc, she moreover leads the Life in Glass project, a major programme of outreach activities funded by the Wellcome Trust. Life in Glass examines questions of knowing, containing and controlling life through art exhibitions, interactive installations, film and game development.